Moscow, October 14, Interfax - Patriarch Kirill of Moscow and All Russia has urged Iraqi President Fuad Masum to intervene in the plight of Iraqi Christians. “Iraqi Christians are in a state close to despair, and many of them are looking at the option of leaving not only Iraq but the Middle East in general forever. 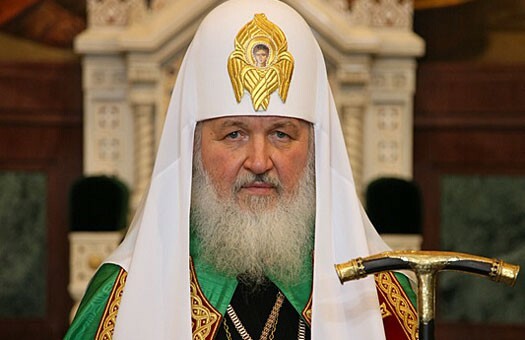 The disappearance of Christianity from this ancient region would have disastrous consequences for the entire world,” the Russian church’s foreign relations service quoted Patriarch Kirill as saying in a letter to Masum. “Hundreds of thousands of Iraqi Christians and members of other religious communities have had to leave their homes under pressure from militants. The life of the refugees, who have been deprived of all their property, represents a humanitarian catastrophe,” the patriarch said. He also brought up the case of former Iraqi foreign minister Tariq Aziz, who has been in jail for 11 years and last month asked the international community to press Iraqi authorities to release him.